› What: Nightfall concert series featuring Liz Vice. › When: 8 p.m. Friday, July 29; Dr. B & The Ease opens at 7 p.m.
› Where: Miller Plaza, 850 Market St.
Dr. B & The Ease is a Chattanooga-based blues rock/soul band featuring Rico Moore, Jeremy Miller, Noel Holland and Brandon Michaels. For more information, visit Facebook.com/DrBandTheEase. Despite the implications of her last name, Liz Vice sings gospel music with such virtuous passion that St. Peter might wave her vocal cords to the front of the line at the pearly gates. 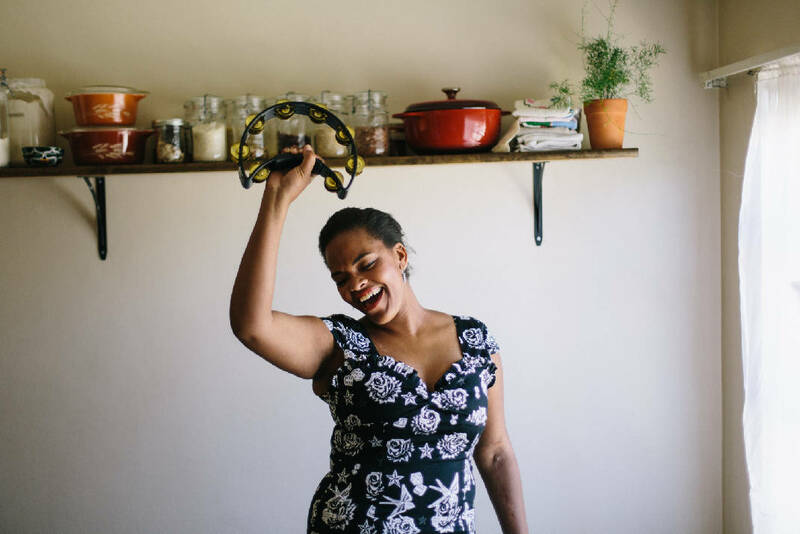 But even if the Portland, Ore.-based vocalist is engaged in musical testimony, it's from the depths of a chasm-like musical groove whose walls are shorn with elements of soul and R&B. Vice's singing has been favorably compared to soul divas such as Aretha Franklin, Adele and The Staple Singers, and it's laid over beefy textures such as funky organ whirl, choral backing and slick drum fills. When her debut album, "There's a Light" was released last October, it simultaneously charted on Billboard's Top Gospel and Top R&B charts, peaking at the No. 6 and No. 13 spots, respectively. Friday, July 29, Vice will take the stage at Miller Plaza as the headliner of this week's Nightfall concert series. She was the first booking of the season, says Carla Pritchard executive director of the Chattanooga Presents, which manages the series. "I was really taken by her vocals and her overall sound," Pritchard says. "She's powerful but also sultry and beautiful at the same time." Growing up, Vice loved to sing, but she wasn't raised in a particularly religious household. She did most of her singing not in a choir but in her mother's basement, where she performed what she heard on the radio and movie soundtracks. It wasn't until much later in life that she felt pulled to the spotlight, she told National Public Radio's Rachel Martin in a September 2015 interview. "It wasn't that I hated singing. I just hated singing in front of other people," Vice says. "Singing in my bedroom, singing in the bathroom for hours, singing in the basement when I was a kid? No problem." 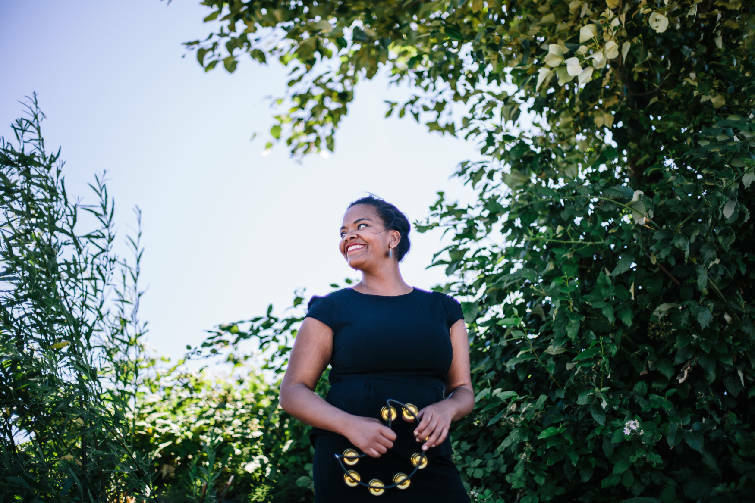 After she started attending a church in Portland in 2009, however, she felt compelled to audition for the team of performers who led the congregation in musical performances each Sunday, she says. In retrospect, her success at a subsequent audition comes as no surprise to the critics who have praised her for singing "in vintage, tambourine-shaking style" (The New York Times) and producing music that is "soul stirring" (BlackGospel.com). For Vice, however, the first time she sang for her congregation was a stressful nightmare. "When it was finally time for the service to start and I had to sing the song, my heart was pounding really hard," Vice told Martin. "I felt like all of the pores on my body opened up, and I was drenched in sweat. "I kept thinking, 'This is how James Brown feels when he performs. This is why he has a towel.'" Since her debut, Vice has signed with Ramseur Records, a North Carolina-based label that's home to artists such as The Avett Brothers, Bombadil and Steep Canyon Rangers. Now, she says, she hopes her performances help others find a bit of peace through pure distraction. "Life is hard; it's hard to be a human," Vice told NPR. "What we get to do is invite people in to say, 'For this moment in time — for this hour — we're going to forget about how hard our day was and just play. I'm going to sing hope over them.'"